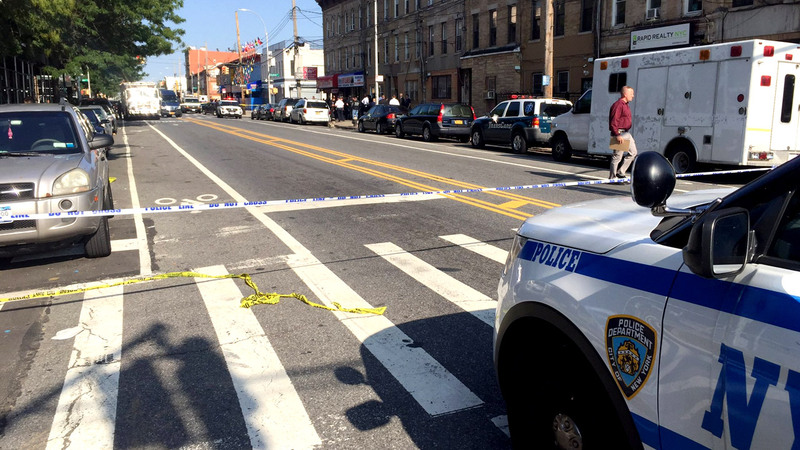 EAST NEW YORK, Brooklyn (WABC) -- Police are investigating after two separate shootings left three people injured in Brooklyn Wednesday afternoon. The first shooting happened just before 3 p.m. near the intersection of Pitkin Avenue and Wyona Street in the East New York section. NYPD officials said a 16-year-old boy was shot multiple times in the torso and neck. He's in critical condition. A 45-year-old woman was shot in the leg. She's in stable condition and is expected to survive. Detectives are looking for three people who may have been involved in the shooting. Then just a mile away, a 27-year-old man was shot in the groin. He's hospitalized in serious but stable condition. So far, there are no arrests in either incident.